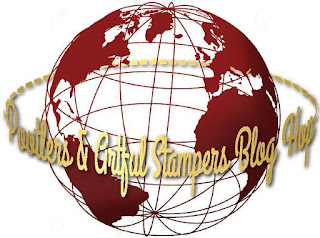 I'm so excited to be joining in a blog hop with my team, the Artful Stampers from Australia, and the fabulous Pootlers team from the UK, headed by the lovely Sam Donald. I'm a big fan of Sam and love watching her videos for ideas for little bags, boxes and treats for friends and customers. Have a look at the gallery below and be inspired by all the gorgeous projects. This was one of the cards made in a recent card class I held. This is a mixture of "old" (but still currently available) and "new" products. 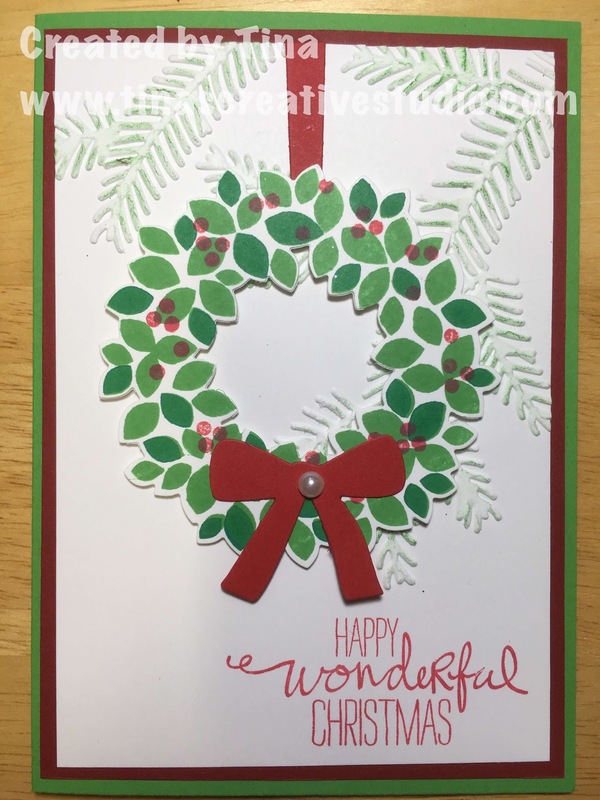 I used the Wondrous Wreath stamp set for the wreath and the sentiment, and used the matching Wonderful Wreath framelits to cut out the wreath and the bow and hanger. This set has been around for a few years now, and is still one of my favourites. To create the background I used the new Pine Bough embossing folder from the Holiday catalogue, embossing a piece of Whisper White cardstock with it and then using a dauber to lightly ink the raised areas in Cucumber Crush ink. It's a clean and simple card, and doesn't really take too long to make. Anyway, have a look at the rest of the lovely ideas in the blog hop in the gallery below. If you are in Australia and would like to order any of the supplies I used for this card, please go to my online shop by clicking on any of the images below.